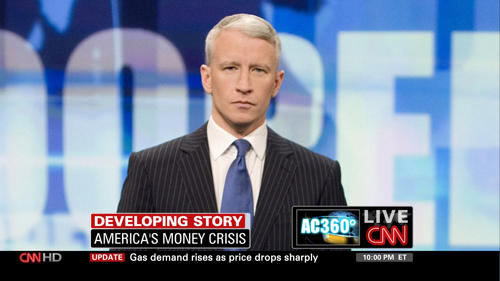 Broadcasting & Cable and TVNewser both have stories about the new graphical look CNN and CNN Headline News has unveiled. 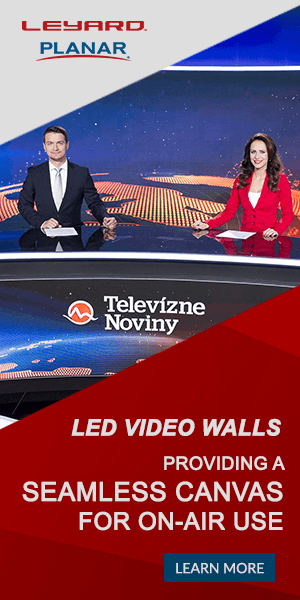 The new look and feel is streamlined and utilizes boxes as graphical elements similar to the graphics being used by CNN International. Another change is the addition of a “flipper” at the bottom of the screen that replaces the ticker. Instead of display multiple scrolling stories, one piece of information is presented at a time with an animated transition between each one. The new design is definitely streamlined though the “LIVE” bug seems a bit too large. The show logo element to the left of the CNN bug is an interesting take on branding each show, but also seems a bit too large and overpowers the network’s flagship brand.